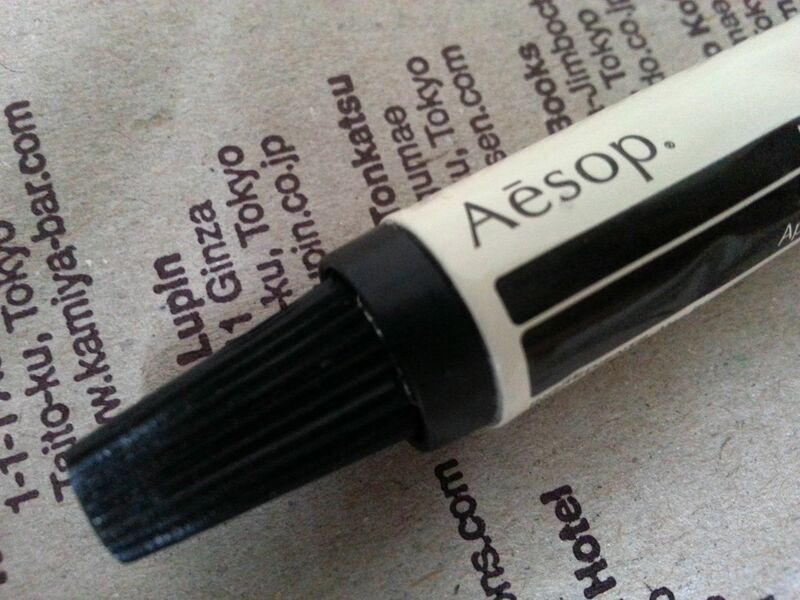 This is a review I’ve been meaning to write for a while because Aesop’s Control Gel is one of my favourite products – a real ‘go to’ and one that I reach for pretty much every single day (more on why below the jump). In fact, I love it so much that I actually bought a replacement when I ran out during my USA trip. How’s that for commitment?! I first read about this product on Caroline Hirons’ blog, and because I struggle with acne (including cystic acne at *that time of the month*) I knew I needed to check it out. Now, this product doesn’t prevent acne, but rather treats it when it rears its ugly head – and, lately, acne has been a daily struggle for me. Luckily, I have found several products (including this one!) that are helping get everything back in line. The Control Gel comes out clear, and I apply it liberally at the first sign of a cystic acne blemish (you can also use it on other blemishes, but I find it works best for me on the cystic ones). If I keep this up, I find that the blemishes come up slower, cause less irritation, don’t get as big/red as they would do otherwise and then go away slowly. It’s not at all drying like some other acne treatments, which is a huge bonus! (So many acne treatments tend to make my skin dry, flakey, itchy and irritable.) My skin really drinks this stuff up, so I’ll just keep re-applying (even over makeup if I’m at the office) all day until bedtime. 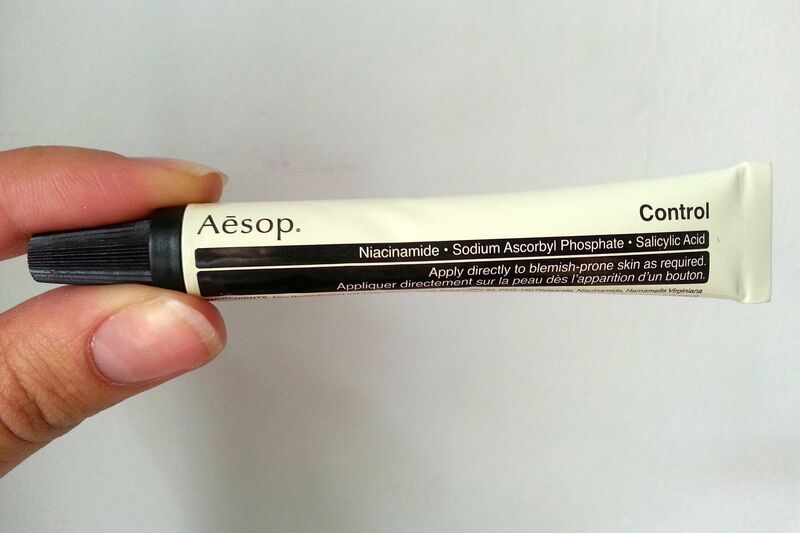 The Aesop Control Gel costs £15 for 9ml via Aesop, and even applying liberally every day when my skin was at its worst (multiple cystic acne blemishes all at once due to stress – argh!) it still took two months to use the tube up entirely, and in that time I definitely felt as though my blemishes were under more control than they would have been otherwise. 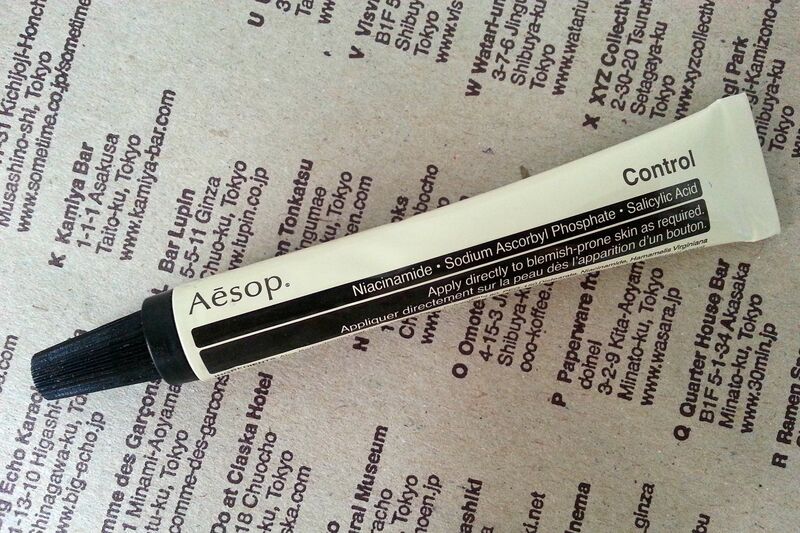 Tags: acne, Aesop, Aesop Control Gel. Bookmark the permalink.